An Old Time Christmas at Silver Dollar City Wins! 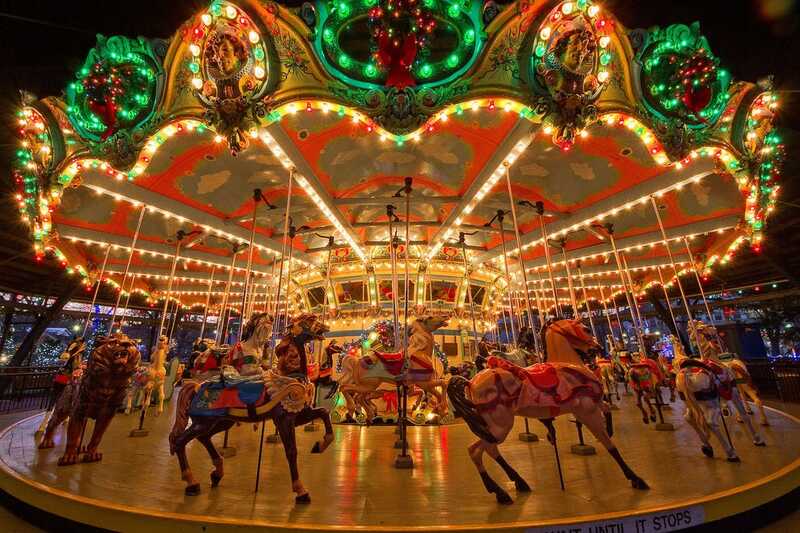 While you might associate a trip to the amusement park with summer vacation, these 10 American theme parks come alive over the holidays with special parades, performances and loads of twinkling lights. Silver Dollar City - Branson, Mo. More than five million twinkling lights and a thousand Christmas trees (one of them, rife with Special Effects, is five stories high!) ensure that Branson is practically visible from space come the holiday season when An Old Time Christmas does a complete park takeover. Entertainment is front and center at Silver Dollar City (this is Branson, after all) in the form of two Broadway-style productions and the Holly Jolly Christmas Light Parade, featuring your favorite characters from the old TV classic. Dollywood - Pigeon Forge, Tenn.
Music always factors in at Dollywood and Christmas is no exception. The popular Smoky Mountain Christmas event features a range of offerings, from Dollywood’s A Christmas Carol to Christmas in the Smokies with its 12-member cast belting out holiday favorites to Christmas with the Kingdom Heirs, a spirit-lifting Southern Gospel Christmas show to warm you from the inside out. Along with? 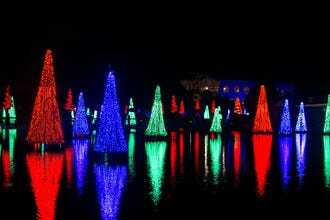 Dazzling lights, gorgeous trees, Santa sightings and a whole lot more. 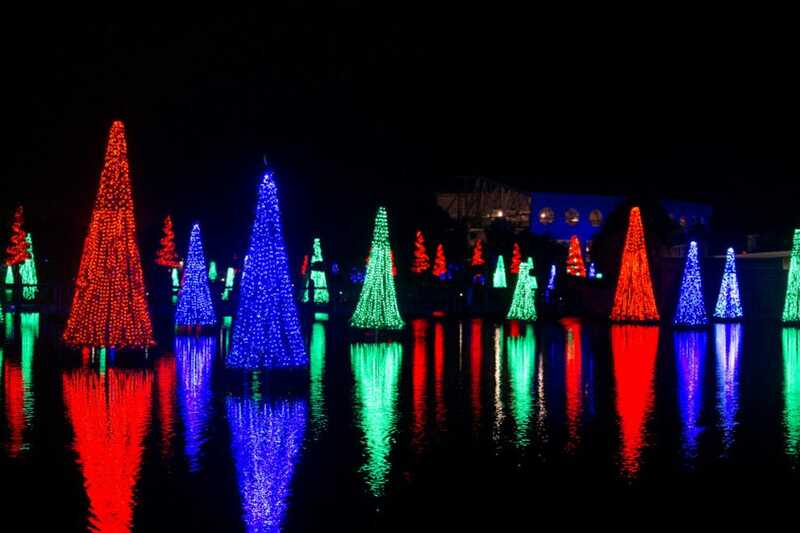 Wander amid to the Sea of Trees, a magical lagoon transformed into a winter wonderland at the center of SeaWorld’s beautiful Orlando location – the lights dance to the music, making the holidays come alive. Shamu’s Christmas Miracles showcase the beauty and power of the orca as holiday music rings out, O Wondrous Night features carolers, puppets, live animals and more while Winter Wonderland on Ice showcases professional skaters in a show-stopping yuletide production. SeaWorld’s sister parks have similar festivities, as well. Santa's Village - Jefferson, N.H.
It’s Santa’s Village – so you know this one’s going to pull out all the stops. 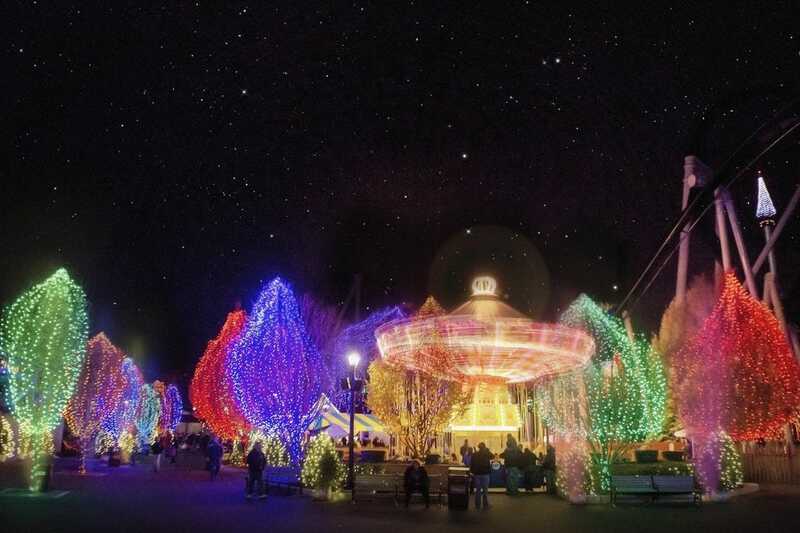 With wintry New Hampshire weather adding extra chills to this beloved park’s ride roster, the night comes alive with holiday warmth as dazzling park-wide lighting turns the venue into a true-life winter wonderland. Lots of holiday-themed goings on and of course, opportunities to meet Santa and ask for a few goodies, are on tap. 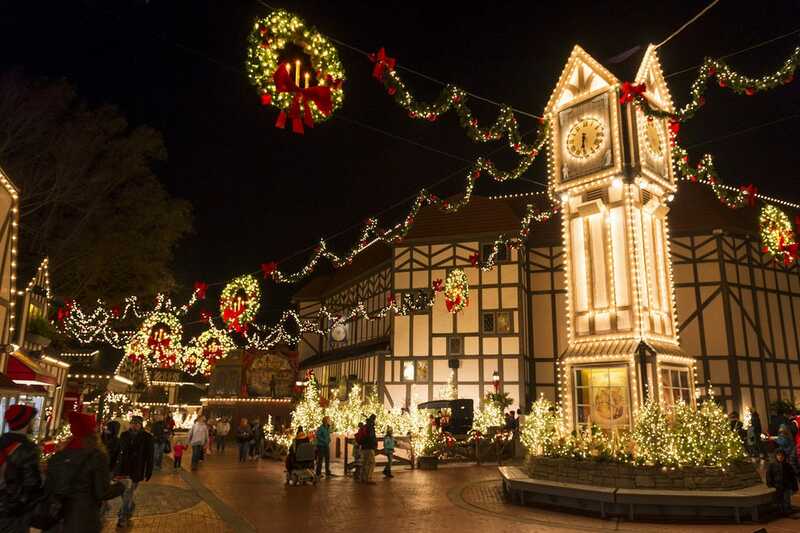 This is the time of year to grab a mug of cocoa and bask in the warmth of family entertainment, festive dining and loads of holiday shopping at Busch Gardens Williamsburg. More than 8 million lights dazzle as families line up cheerily for an audience with Santa. Exciting this year, an all-new show – ‘Twas That Night – reimagines the classic poem and champion skater Elvis Stojko brings the tale to life on ice! Kennywood - West Mifflin, Penn. 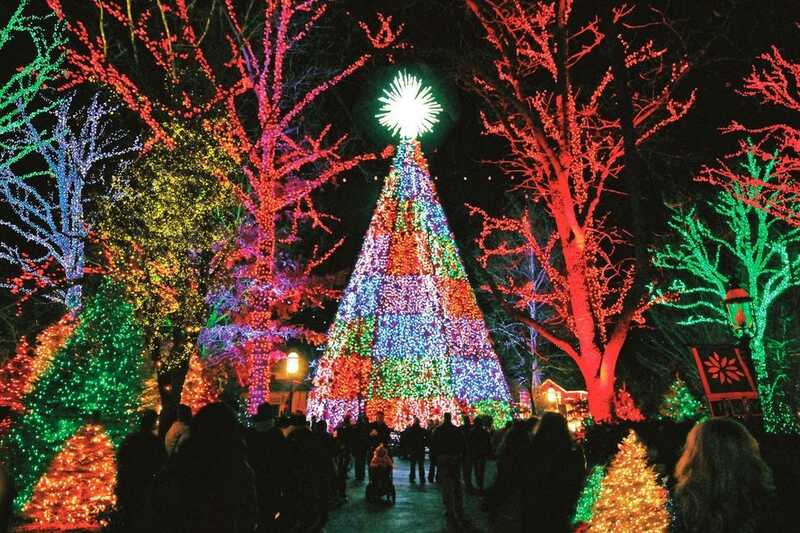 More than a million sparkling lights help transform Kennywood into a holiday paradise this time of year, a metamorphosis elevated by your favorite seasonal songs performed by local choirs. 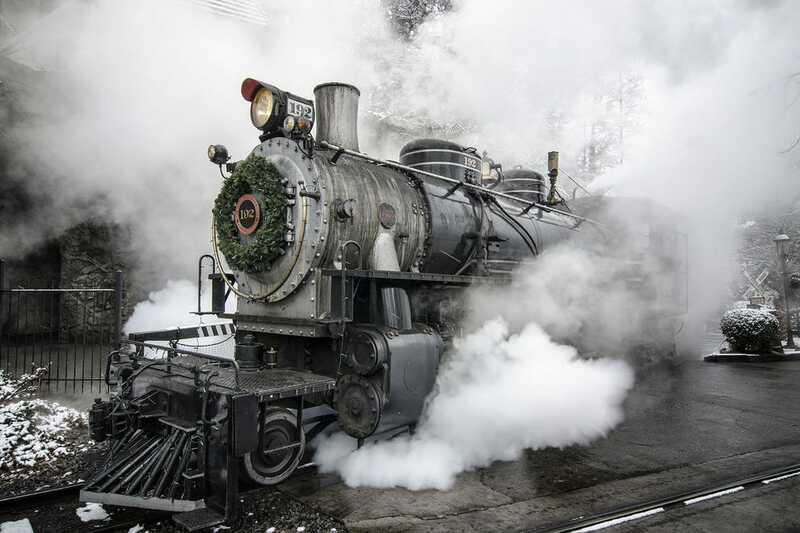 Guests enjoy visiting Santa, rides on the Gingerbread Express and this year – Pennsylvania’s tallest tree – 90 feet! – will light up the night throughout the season. Be sure to catch a screening of “The Polar Express: A 4-D Experience,” as well! Knott's Berry Farm - Buena Park, Calif.
It’s snowing in Ghost Town again! Time to get your merry band of elves and head to Knott’s for holiday fun unprecedented. Once you’ve had your fill of the white stuff, be sure to visit all your Peanuts pals for “Merry Christmas, Snoopy!” on ice in the Charles M. Schultz Theater. Come early and get some shopping done at the Christmas Crafts Village where dozens of local artisans gather to sell their handmade wares. The sweet smell of chocolate may permeate Hersheypark on a regular basis, but come the holiday season, the park is awash in figurative sugar plums. Millions of lights ensure Santa won’t miss the place as he soars overhead. In fact, he and his nine live reindeer make regular appearances. Holiday entertainment, shopping and seasonal treats offer sustenance after time spent ice skating at Rudolph’s Skating Pond. Sesame Place - Langhorne, Penn. 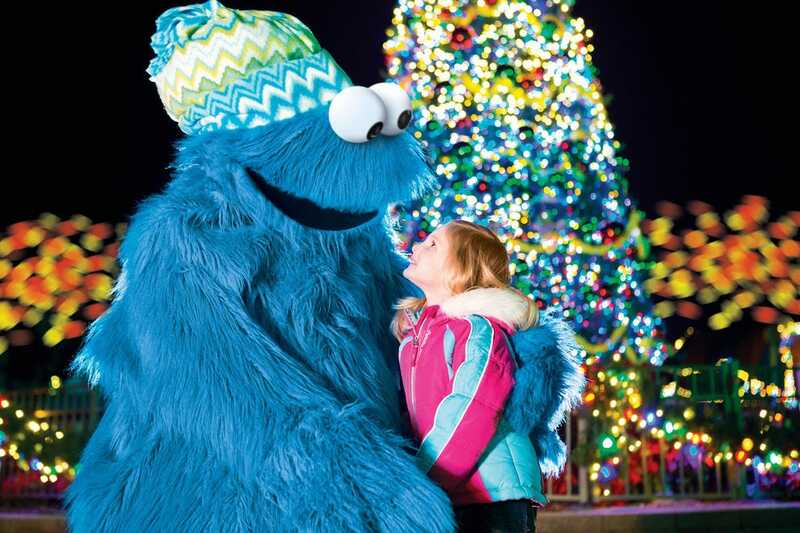 This month-long holiday wonderland at Sesame Place comes straight from the street, Sesame Street, that is! 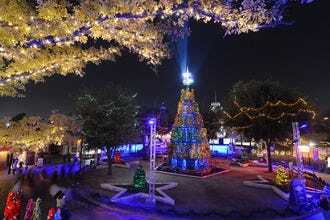 Millions of twinkling lights and park-wide decorations bring extra cheer to the already festive faces guests see here. You can wish all your favorite Sesame Street friends a happy holiday. Seasonal foods, holiday shopping, visits to Santa’s workshop and special Christmas shows make it a yuletide treat like no other. Enchanted holiday experiences abound the in the state where everything’s bigger! Six Flags’ signature rides still thrill and chill, but this time of year visitors can add seasonal fun to the to-do list. Sparkling lights and beautiful decorations set the mood along with heartwarming shows, and belly-warming treats. 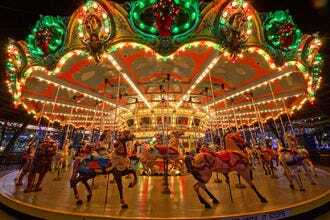 Interactive activities set in the park’s winter wonderland make for extra fun on a seasonal Six Flags visit. Six Flags other parks generate their own holiday cheer fests, as well. For the past month, USA TODAY 10Best readers have been voting daily for their favorite events from a pool of 20 nominees. 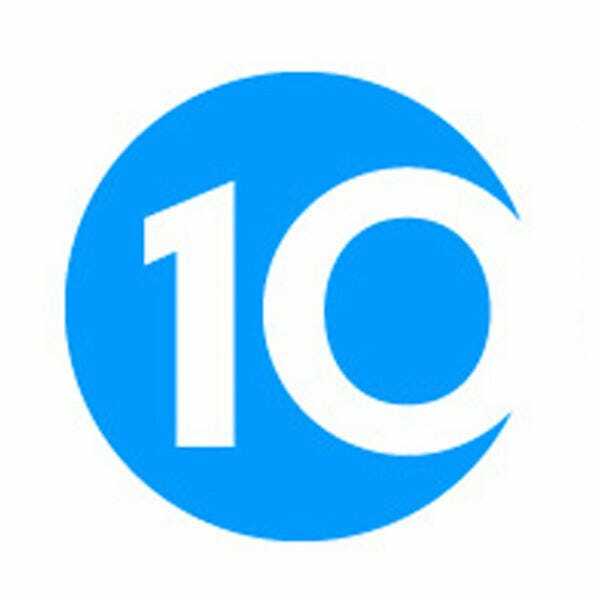 10Best Local Experts and Editors picked the initial 20 nominees, and the top 10 winners were determined by popular vote. 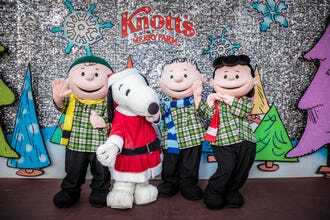 Additional theme parks nominated for Best Theme Park Holiday Event included Busch Gardens Tampa, Disney's Hollywood Studios, Disneyland Resort, Edaville USA, Epcot, Islands of Adventure, Lake Compounce, LEGOLAND California Resort, Magic Kingdom and Universal Studios Florida. Congratulations to all of our winning theme parks!